Loose cows caused a series of accidents on U.S Highway 101 near the Loleta Drive exit last night and this morning, leaving at least one person with serious injuries as law enforcement continues to work the scene, which is not expected to be completely cleared up until this afternoon. At least one of the cows got out again around 9 a.m., according to the CHP. A Fortuna teenager was seriously injured after colliding with two cows around 8 p.m., a couple of hours after the California Highway Patrol received its first calls about the animals wandering in the highway and worked with the owner to corral them back into a fenced area. While the animals were once again moved back out of the roadway after that crash, another one got out and caused a semi truck driver to overturn and spill his load of scrap metal across the southbound lanes of the highway at Loleta Drive around 2 a.m. His condition was not immediately available. 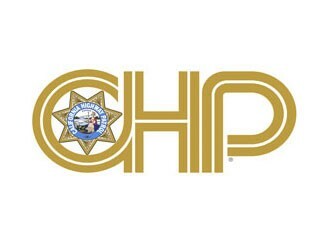 The spilled metal caused at least two more non-injury accidents, according to the CHP. A Humboldt County Sheriff’s livestock deputy is working to make contact with the owner of the castle to ensure they are securely locked up, a release states. On 08-28-2018, a little after 6 PM, the California Highway Patrol Humboldt Area received several calls reporting cows out in the roadway on US-101 near the Loleta Drive exit. CHP Officers responded and assisted the owner in moving several cows back through an opening in the fence. At just after 8 PM, CHP responded to a vehicle collision on US-101 at Loleta Drive. A female driver, 19-year-old Alexandriah Sae Lim of Fortuna, was traveling southbound and collided with two cows in the roadway. Ms. Sae Lim suffered major injuries and was transported by ambulance to St. Joseph’s Hospital in Eureka. One of the cows died as a result of the collision and several citizens helped to move it out of the roadway. On 08-29-2018, just after 2 AM, a semi driven by 38 year old Angel Mercado Ramos of Daly City, was traveling southbound on US-101, south of Loleta Drive, when it overturned in an attempt to avoid a collision with a cow in the roadway. The semi was transporting scrap metal, which spilled across the lanes of traffic. Two additional non-injury collisions were reported as a result of vehicles hitting the scrap metal debris in the roadway. The southbound lanes of US-101 were closed for several hours while the debris and semi were removed from the roadway. The Humboldt County Sheriff’s Department Livestock Deputy is responding to make contact with the owner of the cows. The California Highway Patrol, along with the Humboldt County Sheriff’s Department, is working with the responsible parties to ensure the cows are secured and no longer a danger to the motoring public in the area.